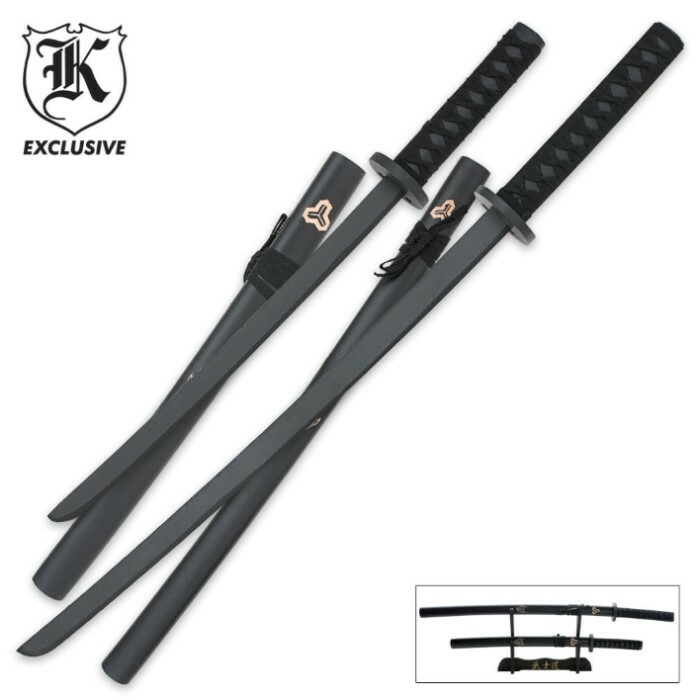 2-Piece Samurai Warrior Wood Katana and Wakizashi Cosplay Sword Set W/ Sheath | BUDK.com - Knives & Swords At The Lowest Prices! 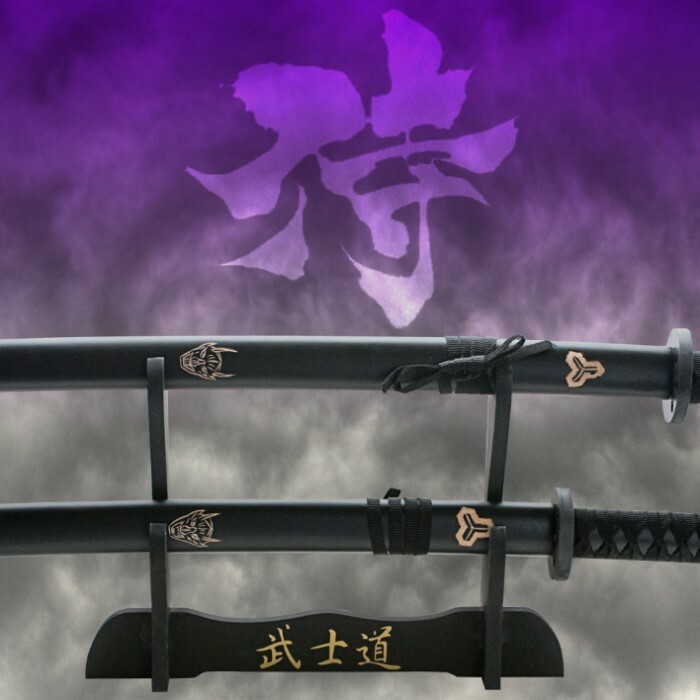 Practice the art of becoming a samurai warrior with this two-piece wooden sword set! This item is constructed completely of wood with a black finish and black cord wrapped handles, and includes a display stand.